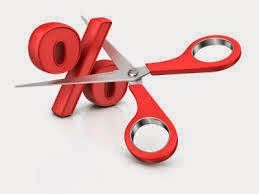 It’s only natural for home buyers to want to get the lowest interest rate on their mortgage as possible. Even the smallest difference can add up to thousands of dollars over the lifetime of a mortgage but what really determines the interest rate when you obtain a new home loan? There are 5 major criteria that lenders look at when determining not only if you qualify for a home loan but at what rate of interest you are able to get. If you want to obtain a mortgage (or refinance) at the lowest possible rate than the following is exactly what lenders will be looking at before making a decision. Of course you know that your credit score is a big factor in determining what interest rate (if any) the bank is willing to offer you to finance the purchase of a home. The truth is it is the #1 thing that any lender is going to look at and has the most impact on your ability to obtain financing. Most credit ratings can be as low as 300 or as high as 850. It’s much too complicated to explain in detail here but most lenders require a score of 720 or higher in order to qualify you for their lowest interest rate. The higher your score, the better off you are. Equity is nothing more than how much of your home you actually own versus how much you owe. If you have a mortgage of $300,000 but only owe $250,000 than you actually own $50,000 worth of the property; this is your equity. There is a reason that lenders like to see at least a 20% down payment for conventional loans. The bottom line is that if property values in your area drop as much as 20% you would still owe the bank the same amount as what your home is worth. The banks understand that no one wants to pay more for a home that what its value is so this 20% equity is their safety zone. It’s their assurance that you won’t walk away from the loan because you owe more than your home is actually worth. For home buyers that don’t have a 20% down payment (which is most of us!) obtaining private mortgage insurance is usually required by the bank. Yes, lenders want to see a good work history and who can blame them? You don’t need a minimum of 2 years employment with the same company but you do need at least 2 years of continuous employment in the same industry. In other words, if you have been a carpenter for the last five years, it’s OK if you have only been with your current employer for 6 months. Mortgage lenders are looking for stability here. It is possible to qualify for a home loan if you don’t meet this criteria but it could mean a higher interest rate loan or substantial savings to convince the bank that you are a good risk. You’ve heard this saying before and it applies to the real estate industry the same as anywhere else: If you have enough savings or other assets that can be liquidated to cover your bills during an unexpected period of unemployment or some other situation that might affect your ability to pay your bills you need to show it to the bank. This is not as important as your credit score or work history but if you want to qualify for the lowest interest rate available than this is one area of your finances that will be considered.